There may be no better time to enjoy Niagara on the Lake than the summer. With long days and hot weather, summer is the perfect time to get out and enjoy the events that abound here at Niagara on the Lake. With such a large and diverse set of events that occur over the summer, there is sure to be something for everyone. 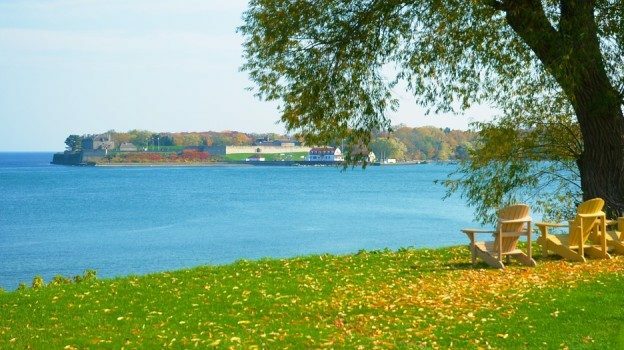 We here at Niagara on the Lake Realty would like to offer you this brief look at what we feel are some of the highlights that will be taking place in and around the area this summer. It is no secret that Niagara on the Lake and its surrounding areas is home to Ontario’s premier wine country. Throughout the summer months, wine tasting festivals and many other fun events abound. Different wineries offer great tours and festivals every weekend throughout the summer. For a more detailed calendar and to see what wineries offer, what tours are available and the dates and times for the tours and festivals, visit our calendar page. Niagara on the Lake also hosts a great farmer’s market which takes place every Saturday morning during the summer months. This market brings together some of the finest artisans, local cuisine and various arts and crafts that originate in the area surrounding Niagara. For more information visit the market’s website. At the end of July, the region welcomes the TD Niagara Jazz Festival. The festival welcomes some of Canada’s finest jazz musicians as well as many internationally acclaimed jazz artists. Come and enjoy an evening of jazz in the heart of Niagara’s wine country. For more information, visit the festival’s website. In addition to wine, the region also produces some of Ontario’s best fruit. In August, come and enjoy the 25th annual peach festival. The festival celebrates the peach harvest of the region and features some of the finest culinary delights that can be made with peaches. The festival also features great local music and a variety of street performers. Niagara on the Lake is also steeped with local history and architecture. During the summer months, come and join one of the tours that start at the downtown museum. These tours explore the region’s culture, history, architecture and events. The tours are all guided by volunteers and are suitable for groups, families or geography and history students. Come and join us for a guided tour of the area and learn more about Niagara on the Lake. This is by no means a comprehensive list of all of the events and festivals that occur over the summer months in the Niagara on the Lake region. Instead, these are some of the highlights that are a must see if you are planning a trip to the area. With such a wide array of festival and events, it is no wonder why many want to call Niagara on the Lake home. Come see if you can find your dream lifestyle at Niagara on the Lake. This entry was posted in Blog, Uncategorized and tagged Niagara on the Lake, Summer Events on August 21, 2015 by wp_admin.